Hermione needs to solve a tough homework problem in Arithmancy class. Professor Vector was discussing trees for some time and now he gives the problem: Say, there are n + 1 nodes numbered 0, 1, 2, ..., n. Node 0 is always the root of the tree. 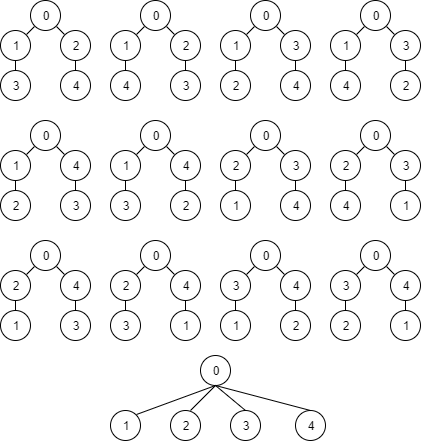 How many different trees can be formed using the remaining n nodes so that all leaves have the same depth and the degree of each non-leaf node is at least d? Here, depth of a node u is the number of edges we need to traverse from the root (Node 0) to reach u. 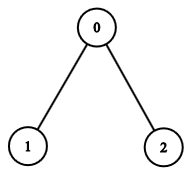 A tree is different from another tree if there exists at least one pair of nodes (u, v) for which an edge between u and v is present in one tree, but absent in the other one. Hermione wants your help to write a program to solve this problem. Note that by degree, we mean the total number of neighbors, not just the number of children. The first line of the input contains a positive integer, T which denotes the number of test cases. For each case, there is one line of input containing two integers: n and the minimum degree of each non-leaf node, d.
For each test case, print "Case i: ", and then the answer (mod 109 + 7), where i is the testcase number, 1-indexed.